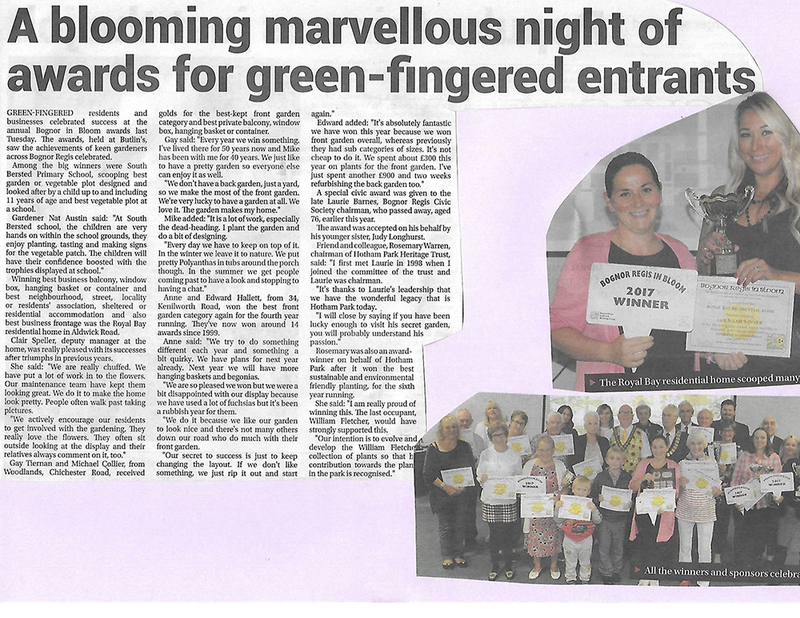 Recently Royal Bay Residential Home in Bognor Regis (for the fourth year running) has won in the Bognor In Bloom competition for local business flower displays. There was even an article in the paper! Congratulations to all involved at our sister care home in Sussex, Royal Bay Residential!